Last week, I visited my Granddad Tony in Lincolnshire. I discovered he has this Website bookmarked and visits it everyday to keep up with current events involving me. Other than my twitter feed nothing much happens here. So here is a post dedicated to my Granddad. 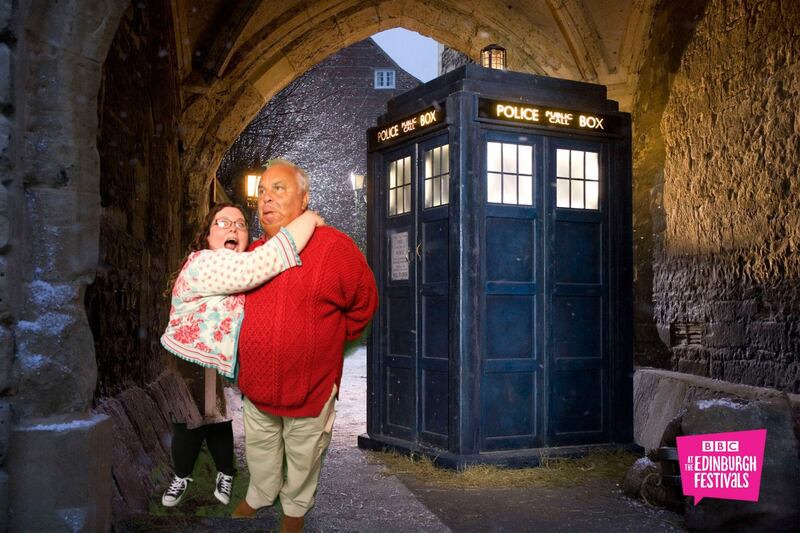 Here’s a picture of my Granddad and I beside Dr Who’s Tardis. The top of my legs were stolen, while Granddad looks on at the thief in the distance. My granddad loves Port wine and blue cheese, he hates Rupert Murdoch..
You can sign up to my Tiny Letter here. Add me on Snap chat on everyonehasmyna and Facebook.